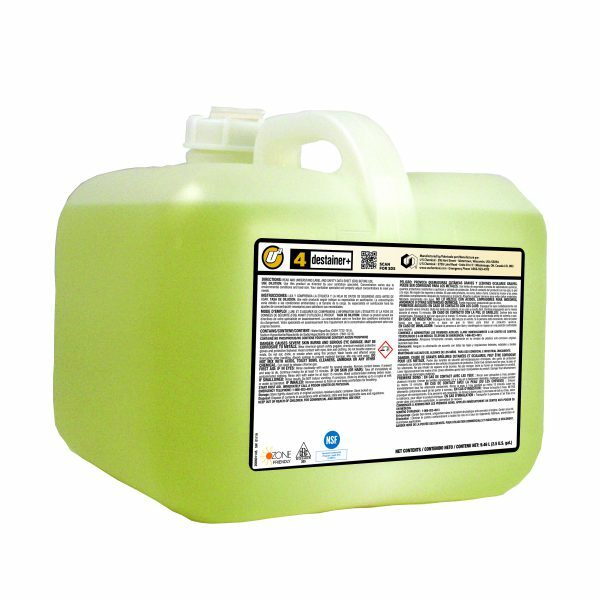 Ultra Active® destainer+ is a highly concentrated sodium hypochlorite solution for use in the Ultra Active Laundry System. The addition of an alkaline builder maintains a consistent pH to ensure effective bleaching. Ua destainer+ keeps white fabrics free of stains and aids in the over all cleaning program.